Exercise plays a significant role in our children's health and development. 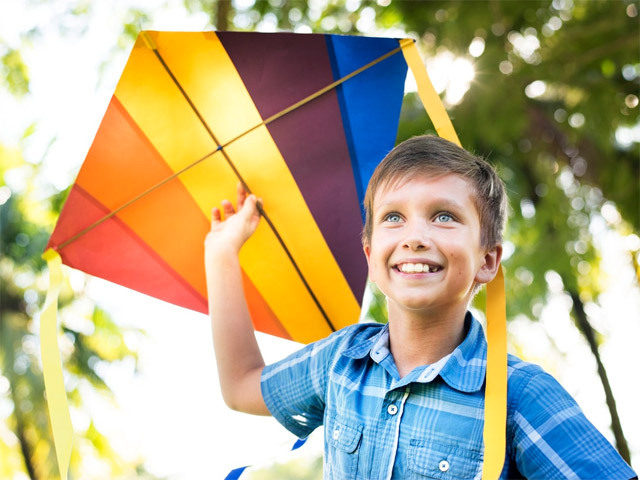 It provides a wide range of physical and mental health benefits for kids of all ages, and can also help to reduce the risk of chronic conditions later in their lives. "Regular exercise improves coordination, muscle strength and flexibility in children. It also improves neurological development involved in fine and gross motor skills, and improves feelings of well-being, self-confidence and happiness," says Accredited Exercise Physiologist, Anna Campbell. Despite these benefits of exercise, Australian children still aren't moving enough, with 1 in 4 Aussie kids now overweight or obese and 80% of children failing to meet the recommended physical activity guidelines. "Children aged 5–12 years should be accumulating at least 60 minutes of moderate to vigorous intensity physical activity every day. For additional health benefits, I'd encourage children to aim for more exercise – up to several hours per day," adds Ms Campbell. For children living with a chronic condition or disability, the barriers to exercise are even greater. "Children living with a chronic condition, like autism, cancer, diabetes or cerebral palsy, experience a range of challenges when it comes to exercise. It's important to seek advice from an expert, like an Accredited Exercise Physiologist, to ensure that they receive an exercise prescription that is safe and individualised to the child's needs." Exercise Right for Kids aims to not only encourage all children to be more active, but to help educate parents about the importance of seeking the right advice when it comes to their child's exercise. We have developed a series of user-friendly factsheets and tools aimed at teaching children and their parents how to Exercise Right for their individual needs. Visit the Exercise Right website to access these free resources. Keep it fun – Children are more likely to participate and enjoy physical activity if they think it's fun! Get outdoors – There are endless benefits to being active outside, including improved mental health and mood. Go for a family hike, or kick the soccer ball around the backyard. Lead by example – Research has shown that children with at least one inactive parent are 68% more likely to be inactive. If you make time for exercise, your children are more likely to follow suit. Try new things – Variety is good for kids, both mentally and physically. Mix your activities up each week to keep things interesting and fun. If your child is living with a chronic condition and you'd like some advice on being more active, talk to an Accredited Exercise Physiologist. Head to our website to find one near you.